At every busy retail chain and workshop, it is important to be able to get items to their appropriate location quickly and efficiently. Moving these units by hand can be very time consuming and traditional trolleys lack the dimensions to transport large loads. In order to provide commercial businesses with the best option for improving output, The Workplace Depot is excited to offer the 3 Sided Mesh Modular Platform Truck. This versatile and durable unit combines durability with functionality to provide the best of both worlds. What is The Purpose of The Platform Truck? This platform truck is designed to be a spacious, mobile, and user-friendly addition to any stockroom, workshop, or garage. With plenty of space to store multiple items, it is great for making moving objects from one place to the next easier than ever before. The mesh trolley walls are great for keeping displays and individual components organised while providing additional grip points to maneouvre the cart in tight spaces. 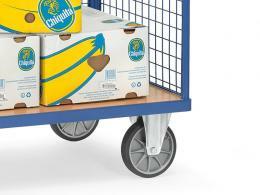 Where Can This Mesh Cart be Used? Every area that has a large amount of items to move can make use of this versatile truck. 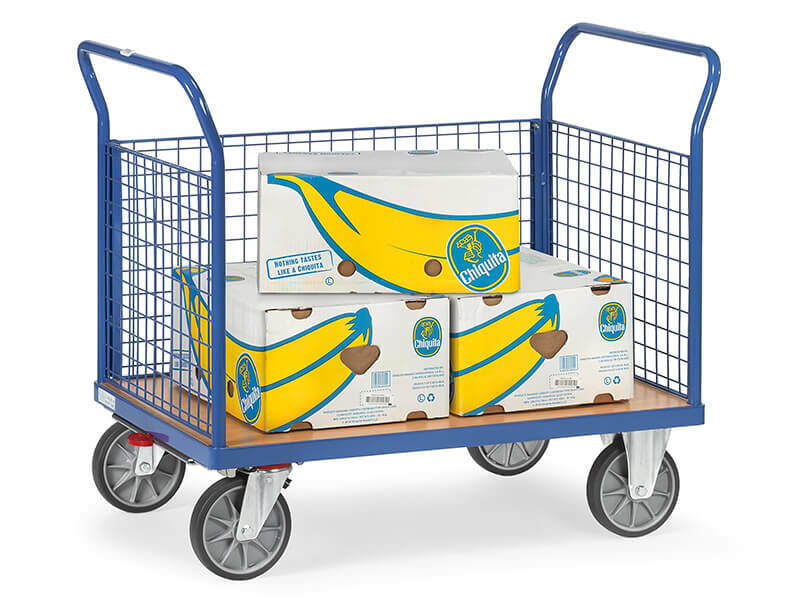 The platform truck provides a stable base and secure sides to improve the speed of any loading zone and to make transporting specific items to appropriate stations very simple. The product can also be valuable in any garage or storage shed, as it not only serves as a way to move items, but a way to store them neatly between the mesh walls. Who Might Use This Mesh Trolley? 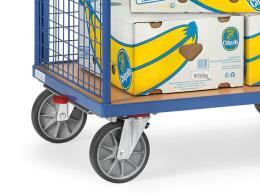 This platform truck can prove useful at any residential or commercial facility. As a reliable unit for storing items or moving them, its durable design can provide years of reliable use. 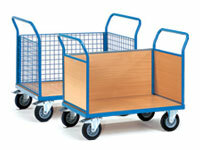 The mesh walls and dual handles make the trolley easy to move around and manoeuvre, so it can be easily moved into a utility building or stockroom. Given that it is constructed with versatility in mind, nearly anyone can make use of this cart for a variety of projects. With its tubular and angle welded steel construction, the unit is robust enough to handle prolonged use. The beech veneered heavy duty particle board platform and mesh sides can help keep all units safe during quick movements. The unit is compliant with euronorm 1757-3 standard and our company will match any price. Improve your home or business with this versatile unit today!